1. Donate via PayPal. Make a secure donation using your existing PayPal account or a credit card. Click the "Make this a monthly donation" box to make it a re-occurring donation and join The Club. Monthly donating is an easy and no hassle way for you to donate on a regular basis and provide BCBC a continuous source of funds for programs. Find more info on The Club by clicking HERE. 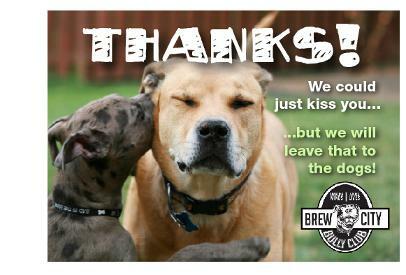 Join The Club by downloading, completing and returning a DONATION FORM to BCBC. You can email or snail mail the completed for to the BCBC address above. Your re-occurring Pay Pal donation will also qualify you for The Club. 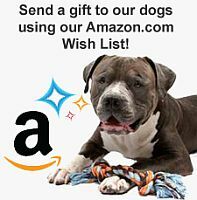 Visit the BCBC Rescue Retreat AmazonSmile Wish List to help us out at the Retreat and to make our Rescue pups SMILE! Love the Pups for Life Program? So do we! This program provide basic resources to those who need some help! Consider donating an item off the Pups for Life Amazon Wish List so we can continue this much needed program! Maybe it's not cash you can give, but something just as valuable. From technology to office furniture and supplies, most of what our staff uses is donated by generous individuals and businesses. We are very appreciative of those who provide materials and supplies to help us make our services, programs and events possible. CONTACT us if you are interested and able to donate services and equipment. This invaluable effort helps us keep operating expenses low so more goes to the dogs!